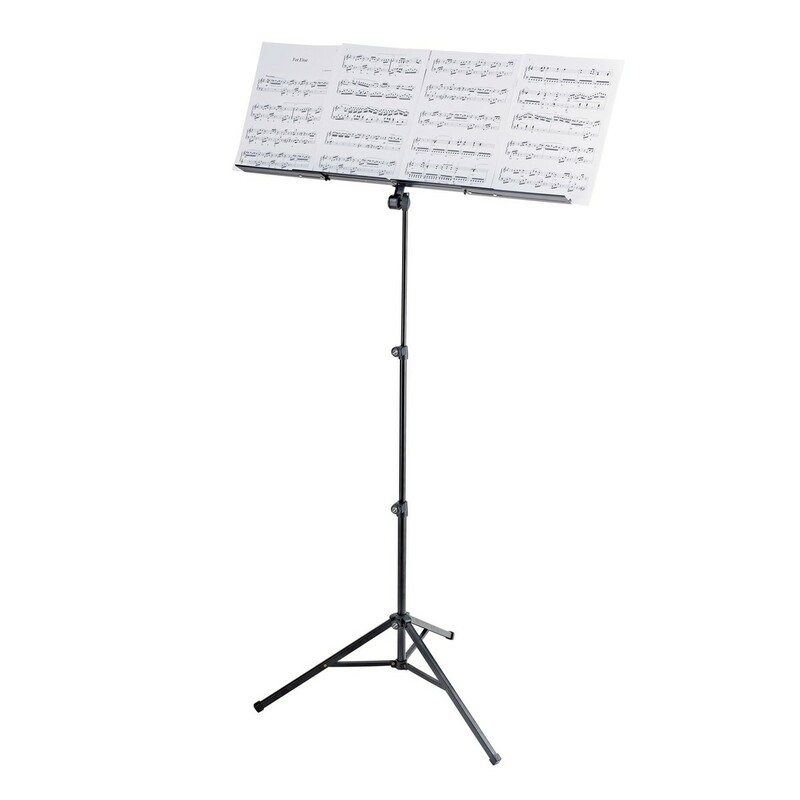 This K&M Music Stand is a Robby exclusive and features a black finish. Equipped with an expandable music desk with rests at either side, both capable of moving left and right. The stand can be adjusted for the viewing of 4 DIN A4 sheets of music alongside each other. The angle is achievable thanks to the fine zinc-die-cast teeth. 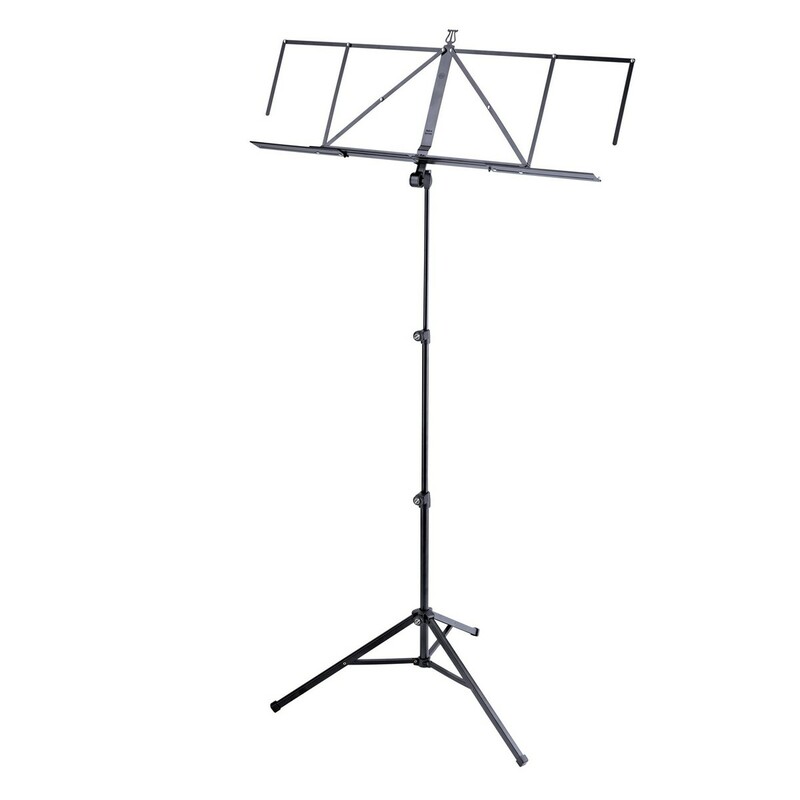 A three-piece folding design is popular among travelling musicians for its ability to fold down into a compact size.